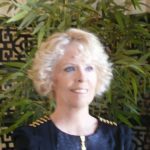 Denice Hughes Lewis is an award winning eBook author for “Dragon Cloud,” award-winning screenwriter, a playwright as well as a director for the stage. Denice lives in the exciting, fun, and sometimes dangerous world of her imagination by writing picture books and middle-grade novels. Her first young adult novel, “Enchantress, Sacrifice,” is an ebook available at Amazon. If you and your kids love to delve into the realm of fantasy, Denice’s writings have been published to eBooks. We invite you to find out more about them here. There you will find links to purchase them online at SmashWords. Will she sacrifice her life? 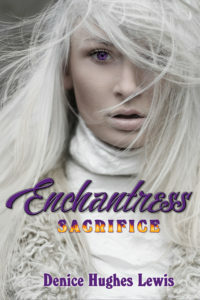 Enchantress Sacrifice is a young adult fantasy. Immerse yourself in this coming-of-age adventure.